This note was prepared as a learning material on the request of the members of the PEMPAL Treasury COP Cash Management working group and is designed to be of assistance to those countries designing a Service Level Agreement by providing material on which they could draw in preparing it. The IACOP Newspaper is a reflection and an update on a reform progress, emerging matters and challenges of the IACOP member-countries related to the main themes of our current knowledge sharing. The articles in the newspaper are written and shared by the IACOP members. This publication fulfills the objective set by the RIFIX Working Group and demonstrates the commitment of the IACOP to improving Public Financial Management (PFM) in its member countries. IACOP continues to expand the line of knowledge products that started with publication of the Good Practice Internal Audit Manual in 2022, followed by the Good Practice Continuing Professional Development Manual Template, the Internal Audit Body of Knowledge, Risk Assessment in Audit Planning Guide, and the Quality Assessment Guide for Public Sector Internal Audit. This guide is a product of knowledge sharing and collaboration among members of the Internal Audit Community of Practice (IACOP), of the Public Expenditure Management Peer-Assisted Learning (PEMPAL) network. 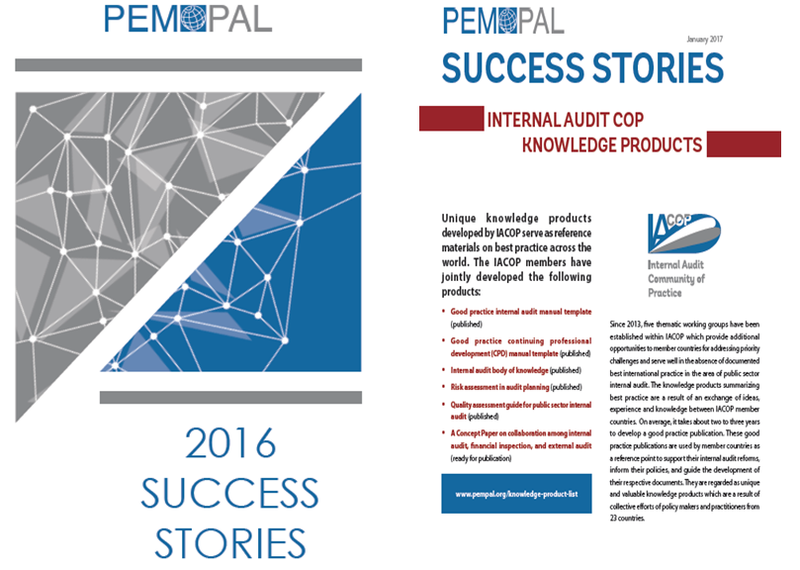 This publication, similar to the Good Practice Internal Audit Manual published by the IACOP in 2012, resulted from an extensive collaborative process, which included participation of practitioners and policymakers in member countries. The main goal of this Guidance is to support governments and public sector officials in the process of preparing and presenting consolidated financial information on the public sector and entities within the public sector. This paper first examines good practice elements of CoA design, including the importance of comprehensiveness in the design if major reports for all key stakeholders are to be derived from the CoA. The paper then moves to focus exclusively on the economic segment, identifying specific examples of good practice design evident in PEMPAL countries, and ways to integrate cash based budget reporting with accrual based financial reporting. This report summarizes the work of the TCOP Asset’s Management Working Group (WG), from the Skopje event in 2013 until its final activity in Montenegro, in November 2014. In all the WG met on three occasions, also meeting in Tbilisi in February 2014, and participated in three video conferences in December 2013, and June and October in 2014. The Risk Assessment in Audit Planning (RAP) guide, drafted by the PEMPAL Internal Audit Community of Practice (IA CoP), emphasises the importance and the impact that an effective audit strategy and audit plan for the achievement of the goals, objectives and the mission of the internal audit unit. This internal Audit Manual template is designed to serve as a reference guide which can be used to assist internal audit proessionals in the public sector to prepare an internal audit manual for their organization. This BoK can be used to assist internal audit professionals in the public sector in identifying a core set of knowledge and skills that are important in efficiently and effectively conducting their work.